Louise Bohmer is a freelance editor and writer based in Sussex, New Brunswick. Her debut novel–The Black Act–was released by Library of Horror in 2009, but is now out of print. You can read her short fiction in Old School, Tabloid Terrors 3, Courting Morpheus, and Into the Dreamlands. Her poetry can be read in Death In Common and the upcoming These Apparitions: Haunted Reflections on Ezra Pound. 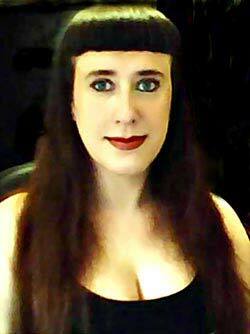 You can find all Gothic.net articles and fiction relating to Louise Bohmer at tag Louise Bohmer.